For the last three years, we have been honoured to support world-class medical research institute HMRI through our Spring Fling campaign. HMRI is a Newcastle-based research institute that strives to prevent, treat and defeat serious illnesses. It is a privilege to donate the money to HMRI and it's a part of our corporate social responsibility that we take very seriously. Since our first Spring Fling initiative in 2016, we have donated $60,000 to HMRI. We recently sat down with our First National Newcastle City team to find out why they personally love donating to HMRI. Read on to find out. A portion of proceeds raised during our annual Spring Fling auction event are donated to HMRI to help them continue their life-changing research. For our agent Bree Atkinson, she loves being able to use her platform as a real estate agent to help HMRI change people's live. Bree believes that there's no better way to raise money than by doing what you do best. Bree says, “I love having the opportunity to support HMRI because as everyone’s lives are so busy, we often forget to stop and give back. Spring Fling allows us to give back by doing what we do best, selling homes". For our Residential Sales Associate Liliana Innocente, she has personally watched loved ones suffer from diseases that one day may be curable. Lili notes, “HMRI do so much more than just research cancer. They research mental health, cardiovascular health, public health and so many other problems that we may all experience one day. I believe that prevention is better than a cure and providing funds for HMRI's research will hopefully lead to the extinction of many life-threatening diseases. Every family has been touched by terrible diseases and seeing the suffering of my loved ones from cancer and heart disease reinforces the need to find the way to protect our future generations". For our Operations Manager Mel Schmidt, she's grateful to be part of something that will have a positive impact on the wider community. Mel believes, "the research activity that HMRI conducts plays such an important role in our local community. We all know someone whose family is either directly or indirectly affected by one or more of the research areas – my own family included; so, I’m really grateful and proud to be part of First National’s contribution”. HMRI conduct not only medical research, but also research that will help benefit the wider communitites in a wide variety of ways. 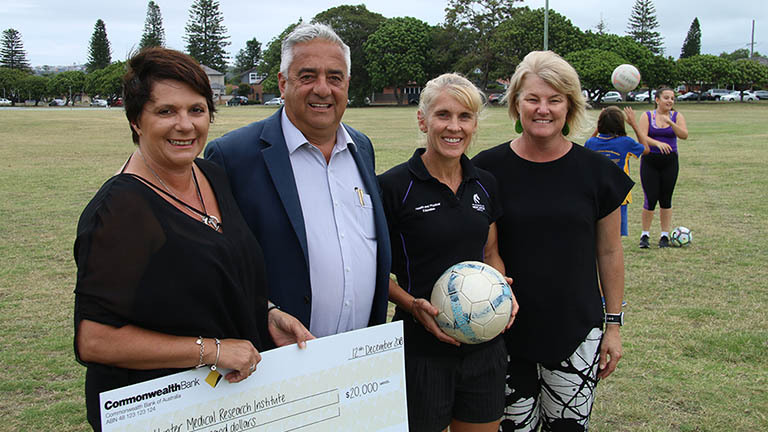 They are currently helping fund a new study being conducted by the University of Newcastle's physical education researcher Dr Narelle Eather, that aims to improve player well-being in junior sports. George and Rose Rafty were honured to present the proceeds from last year's Spring Fling campaign to Dr Eather and HRMI's Peree Watson pictured below. From L to R: Rose and George Rafty Principals First National Newcastle City, Dr Narelle Eather Deputy Head of School, Peree Watson Event and Community Partnerships HMRI. Finally, we spoke with Roger Ingham whose personal experience heightened his awareness of the need to give back. Roger says, “Over recent years my own personal experience with family members being diagnosed with life-threatening illnesses has helped me understand the importance of giving back to those who work tirelessly to fight these noncommunicable health issues and search for cures. I am very proud to support HMRI's research as they endeavour to find solutions that builds healthier and happier lives". We look forward to another Spring Fling in 2019 that will raise funds for HMRI. 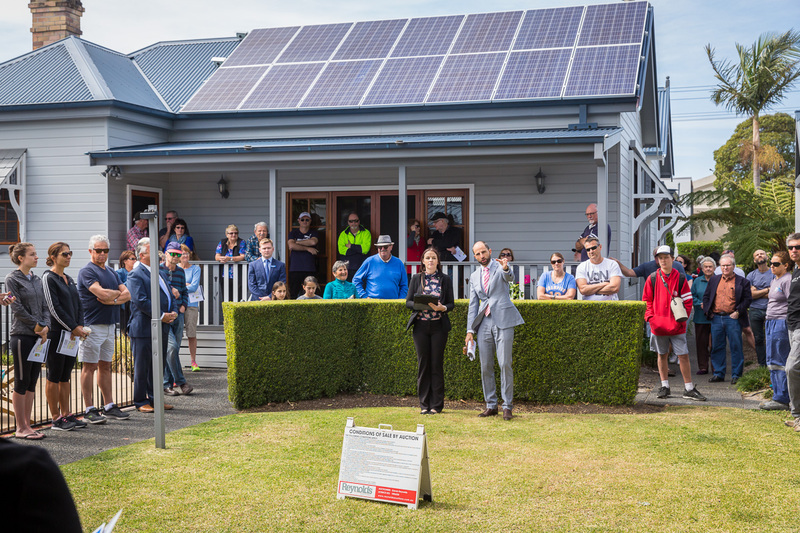 If you would like to find out how to be part of Spring Fling, whether you're buying or selling a home, please get in touch on (02) 4961 6899.